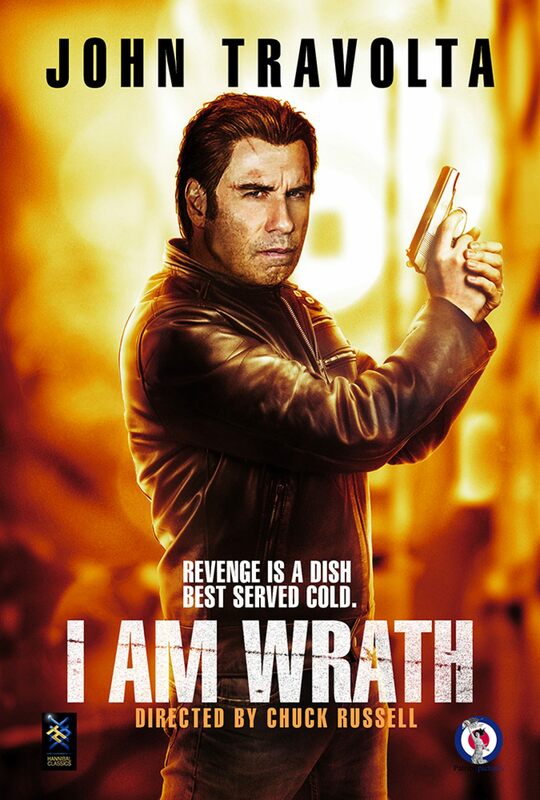 Today, I’m going to take a look at a 2016 direct-to-video action flick starring John Travolta: I Am Wrath. I Am Wrath was directed by Chuck Russell, who is best known for movies like the 1988 remake of The Blob, The Mask, The Scorpion King, and A Nightmare On Elm Street 3: The Dream Warriors. The cast for the movie is headlined by John Travolta (Pulp Fiction, Face/Off. Grease) and Christopher Meloni (Law & Order: Special Victims Unit, Man of Steel), with additional performances by Amanda Schull (Suits, Twelve Monkeys), Sam Trammell (True Blood), Patrick St. Esprit (Narcos, Sons of Anarchy), and Rebecca De Mornay (Risky Business, Wedding Crashers). The music for I Am Wrath was composed by Haim Mazar, whose other credits include The Iceman, The Taking of Deborah Logan, and the television show Teen Mom. The cinematographer for the film was Andrzej Sekula, who shot the cult favorite movies American Psycho, Hackers, Four Rooms, Pulp Fiction, and Reservoir Dogs, and also directed the horror sequel Cube 2: Hypercube. I Am Wrath was filmed primarily in the city of Columbus, OH, a non-typical location for a film production. A number of local landmarks show up in the movie, including the Ohio Statehouse, the illuminated arches of High Street, and the local diner chain Buckeye Donuts. Rumor has it that the initial plan for the film was for William Friedkin, of The Exorcist and The French Connection, to direct, with Nicolas Cage in the starring role. However, numerous delays led to the eventual combination of Russell and Travolta. 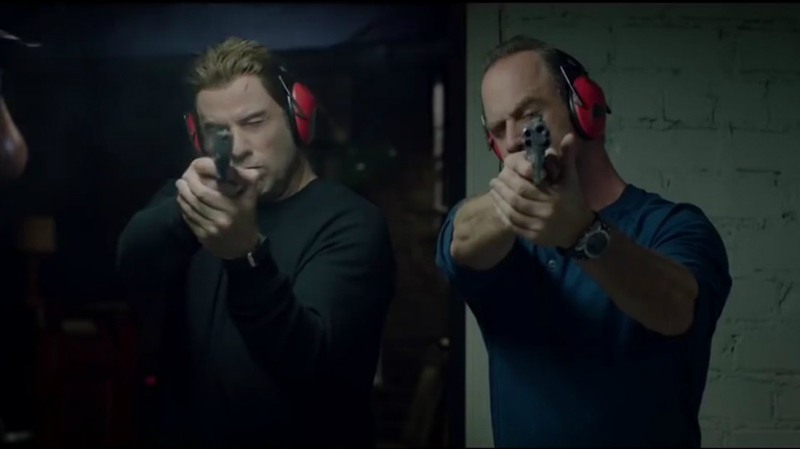 Upon their release, the promotional images and posters for I Am Wrath were the subject of widespread online mockery for their incompetent and awkward construction. “this…has left me at a complete loss for words. All I can do is implore you to share this post with as many people as possible. 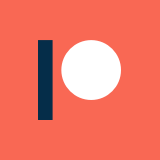 The world needs to know.” – Scott Wampler, Birth.Movies.Death. I Am Wrath ultimately released straight to video, and was not received warmly. It currently holds Rotten Tomatoes scores of 11% from critics and 34% from audiences, along with an IMDb user rating of 5.3/10. For the past few years, I have been living and working in Columbus, OH, so I happened to be around while I Am Wrath was filming locally. Outside of a few blips in the news about John Travolta being in town for a role, I didn’t hear a whole lot about it. However, it was interesting to see familiar locations on screen while watching the movie: for folks in New York or Los Angeles, that is probably no big deal, but seeing Columbus on screen was kind of bizarre. Despite a handful of interesting visuals peppered throughout the movie, I Am Wrath is far and away dominated and defined by its central performances. Unfortunately, thanks to John Travolta’s half-sleepwalking rendition of a mercenary / car factory administrator, the movie is all the weaker because of it. That said, Christopher Meloni provides the film with an iota of charm and levity with his improvised wit, though he is woefully missed when not on screen (which is, unfortunately, often). Meloni, unlike Travolta, seems to understand the schlock that he is wrapped up in, and leans into the absurdity of the situation, and clearly enjoys his tough guy routine. Travolta, by contrast, is a black hole: a human-shaped void that made me question if this was the same hammy scenery-chewer I remembered from Face/Off, Swordfish, and Battlefield Earth. Say what you will about any of those performances, but the guy was never lacking in passion or enthusiasm in those roles. 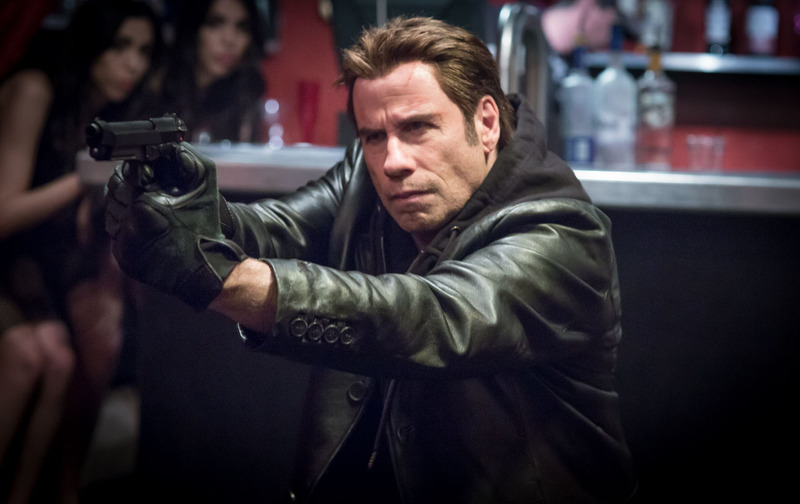 Beyond Travolta’s banal lead performance, the biggest issue with I Am Wrath is almost certainly the screenplay, which is basically a paint-by-numbers revenge plot. There are a few things I liked about it, though: for instance, there’s a RoboCop-like dynamic between some of the villains, which is always nice to see. However, there is also a lot of bad dialogue, and way too much information is revealed far too blatantly for the message to have much of a punch. Worst of all, I think the I Am Wrath screenplay has one of the most egregious and hilarious examples of a placeholder character name making it all the way to the final draft: Governor Merserve, the self-serving Governor. That’s just inexcusable. 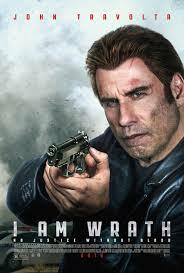 Honestly, I wish there was something to recommend about I Am Wrath. Unless you are a big fan of Christopher Meloni, or a Columbus local interested in seeing the city on screen, there just isn’t anything compelling here. Even the action sequences aren’t terribly enthralling, and are by and large forgettable. If you want a cheesy action movie, look into whatever Nic Cage has out this week, and give this one a pass.